She started opening up about how she always feels like she is wearing a mask because deep down she doesn’t think anyone will like her for who she actually is. What she didn’t realize at the time was that this “mask” was actually the reason she was struggling to maintain friendships. 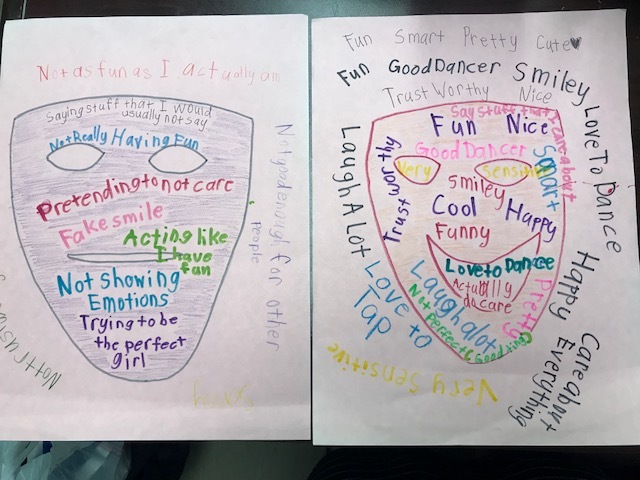 We made a mask together, and on the inside of the mask, she wrote how she acts when her “mask” is on at school. 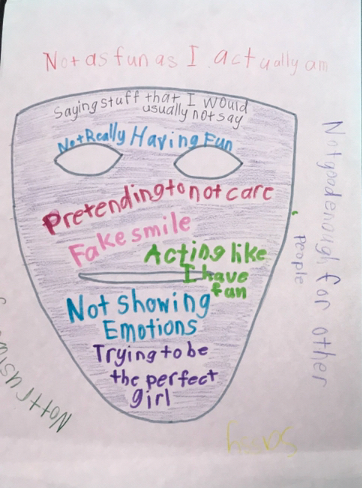 On the outside, she wrote how she thinks others might see her when she is wearing the mask. 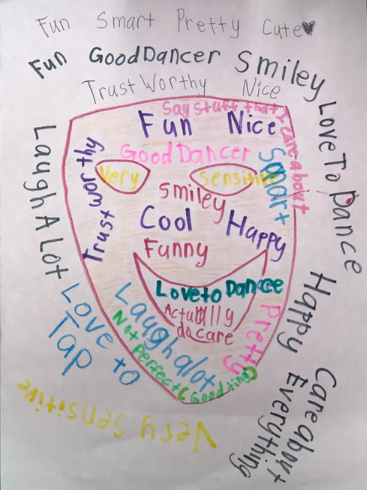 In a following session, we made another one, but this time she wrote who she actually is on the inside of the face and how she wants others to view her on the outside. We spent multiple sessions processing these two pages and exploring her belief that she isn’t good enough. Each week, she had homework assignments to get rid of one layer of the mask and pick one thing from her true self paper to show to others. In our final session, she decided to throw away the original mask we made, because she said she wasn’t wearing it anymore in real life. 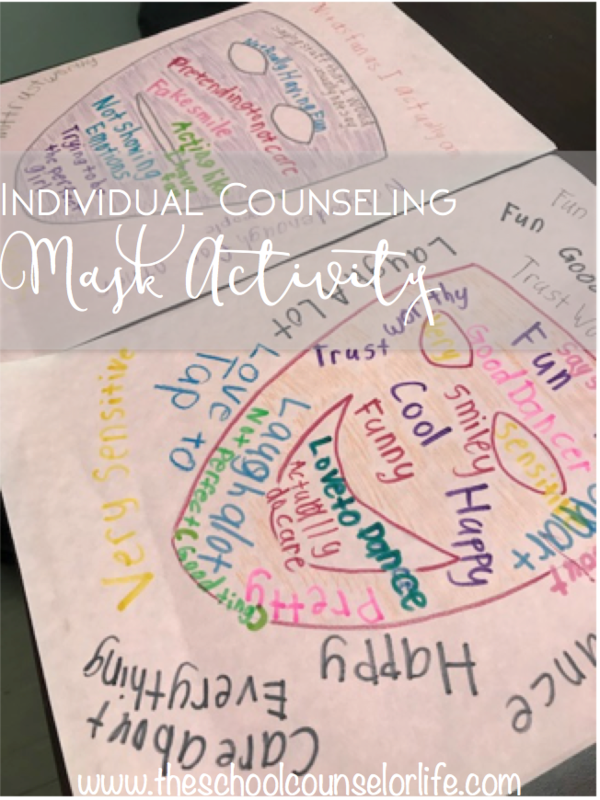 In affirming her progress, I pointed out that she hadn’t been a part of any conflict resolution sessions in two months, and her response was, “Wow, so this didn’t just make me feel better about myself. It helped me make friends, and I didn’t even realize it!” Don’t you just love those rewarding moments?! ?